LONG and uneven war has been waged for many years between the various members of the shoe-blacking fraternity. The factions that divide those who look to our boots for a mode of livelihood are wonderfully numerous. 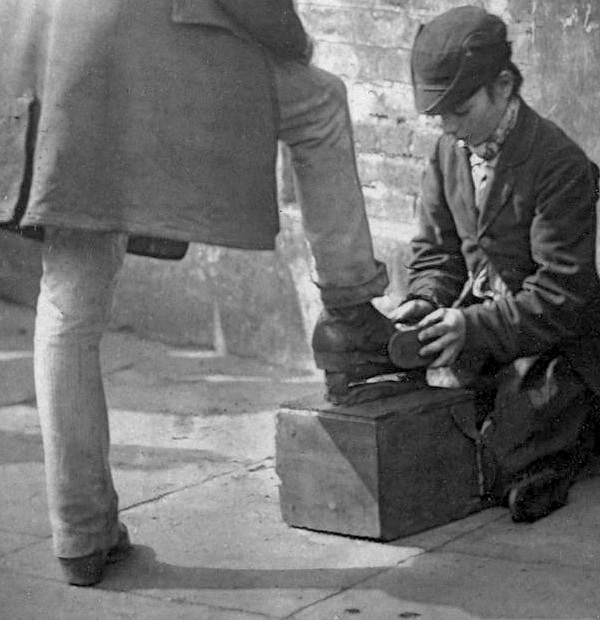 There are boys who maintain that no able-bodied man should seek to clean boots, that this work should be monopolized by children. Others, on the contrary, urge that the street should be free to all, and that if an able-bodied man chooses to devote himself to the art of blacking boots, as a free British subject, he has a right to follow this or any other calling, however humble it may be. 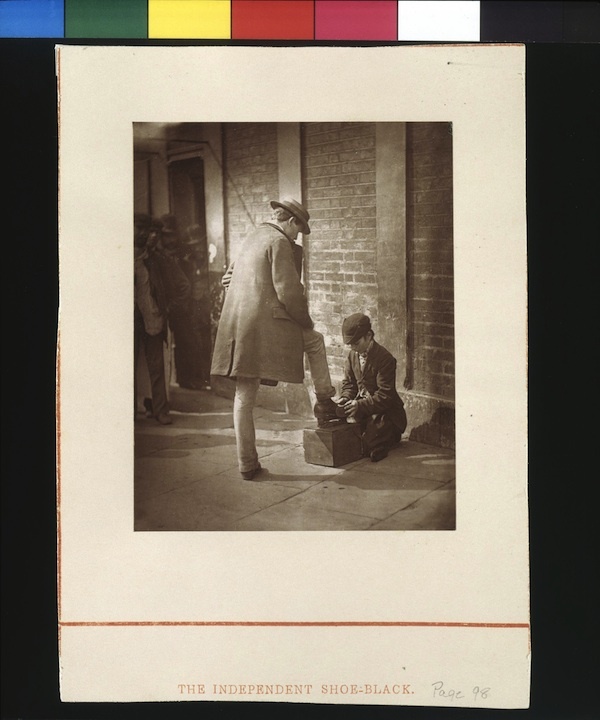 The independent boot-black must be always on the move, carrying his box on his shoulders, and only putting it down when he has secured a customer. 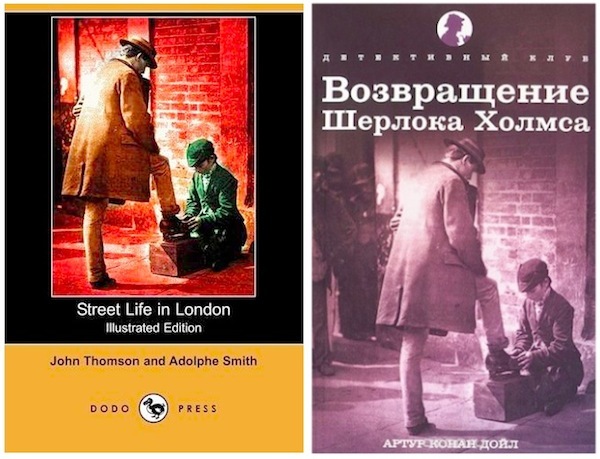 Even then, I have known cases of policemen who have interfered, and one actually kicked the box away from a gentleman’s foot, while he was in the act of having his boots cleaned.